Climate scientists don’t like to get pinned down on making date-specific projections about the effects of global warming. But after months of watching Arctic sea ice languish at a record low, the big question has surfaced once again: When will we see the Arctic’s first ice-free summer? 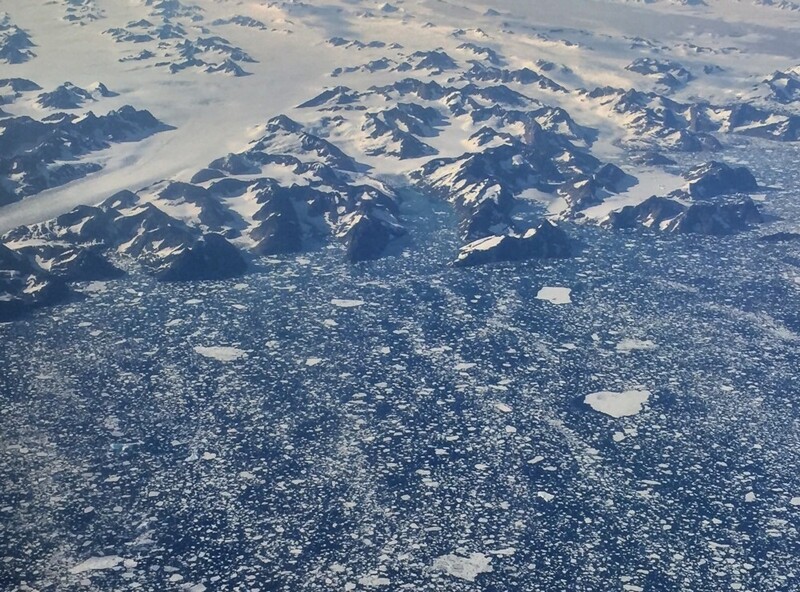 According to University of Exeter climate researcher James Screen, the latest modeling suggests that, unless heat-trapping greenhouse gas emissions stop soon, an ice-free Arctic summer will happen as soon as 2046. “That’s our best estimate, give or take 20 years,” Screen said during an April 24th press conference at the European Geosciences Union conference in Vienna. The ice decline is clearly linked with rising global temperatures, and the chances that the Arctic will be ice-free increase dramatically when the average global temperature rises between 1.7 and 2.1 degrees Celsius, Screen said. There’s a good chance an ice-free Arctic Ocean in the summer would have a strong effect on seasonal weather patterns across land areas in the Northern Hemisphere, and it would have big implications for ocean ecosystems. Polar bears use sea ice to hunt for seals, and a complete meltdown would also affect the blooming cycles of plankton, which serves as food for whales, fish, and birds. Further, ice-free conditions in the Arctic Ocean would also spur an increase in shipping, fishing, and, potentially, oil and gas drilling. Screen, an expert on how the melting sea ice affects the path of weather systems around the Northern Hemisphere, said that the regional distribution of ice decline is important. In recent years, most melting has been in the Barents Sea, which leads to cooling over Eurasia. That spatial variation means that, as the pattern of melting changes, the effects over land areas will shift as well. Right now, Earth’s fever stands at about 0.9 degrees Celsius and is climbing fast. At the current rate, we could reach 1.7 degrees Celsius of warming over pre-industrial levels as early as the mid-2020s or early 2030s. Screen said his recent climate modeling was meant to show whether the goals of the Paris climate agreement would make a difference to Arctic ice. The answer is yes. If the 195 signatories meet the agreement’s aspirational goal of limiting warming to 1.5 degrees Celsius, there’s less than a 1 percent chance of completely ice-free conditions. At two degrees Celsius, those odds increase to 39 percent; at three degrees, to 73 percent. “So if we really want to save the Arctic sea ice we need to push for 1.5 degrees,” Screen concluded. 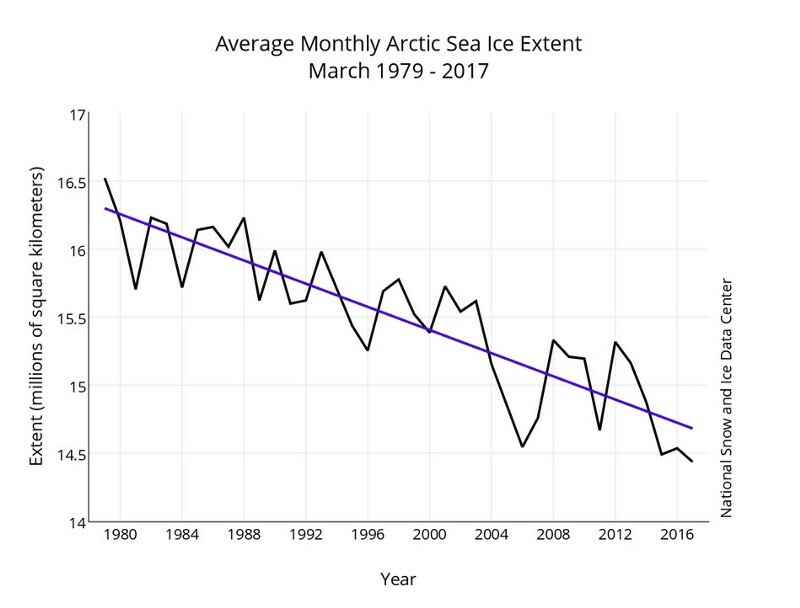 The downward trend is quite clear, according to Julienne Stroeve, a sea ice expert at the National Snow and Ice Data Center, who is currently based at University College London. “The last 10 years have all seen the lowest sea ice extent on record. We usually focus on summer because that’s the most dramatic, but now the winter is starting to respond,” said Stroeve, who just returned from an Arctic expedition where she measured sea-ice thickness. The last three years have all seen record-low conditions; in 2016, there were seven months of record-low sea ice. Is Your City Ready for Global Warming’s Coming Heat Waves? The story is similar this year at the other end of the globe, where the sea ice around Antarctica also melted away to an all-time record low extent during the Austral summer. During March, it was at a record low every single day, most likely because of warmer-than-average sea surface temperatures in the region, according to the NSIDC. Scientists aren’t sure if the low sea-ice extent around Antarctica is a sign of a meltdown similar to that in the Arctic, or else just a natural variation; as recently as 2015, Antarctic sea ice was record-high on a daily basis, and in September of 2014 passed its seasonal maximum. Writer, pixel slinger & world citizen. Climate, water, forests, wildlife, global awareness. Dad, skier, traveler, muffin-maker. Find your fire and phoenix.